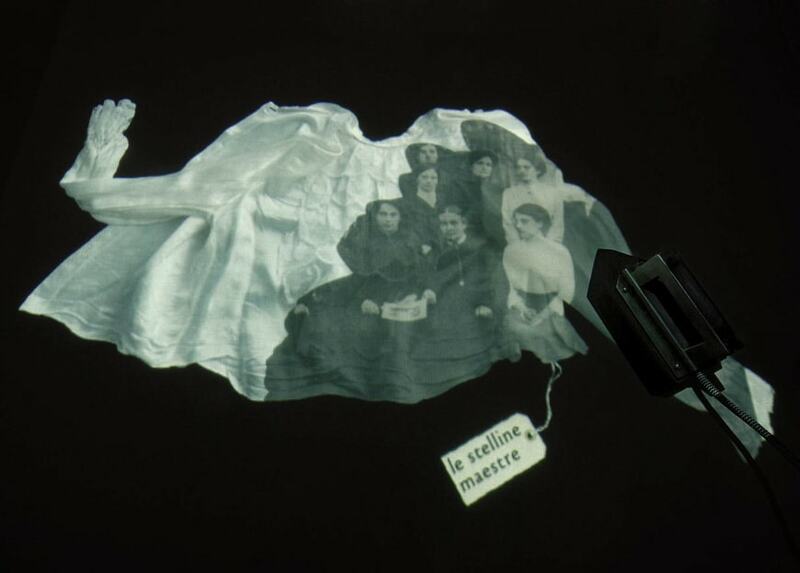 The Museo Martinitt and Stelline is a museum in Milan that, mainly through multimedia exhibits, tells the history of the city’s orphans in the 19th and 20th century. How is it possible to tell the history of an orphanage? Opened in 2009, the Martinitt and Stelline Museum (two words for young male and female orphans in Milanese dialect) gives us a potential answer because it succeeds in involving its visitors in an apparently not so popular subject. The solution is to narrate a story through visitors’ interaction. This is a case where multimedia and interactive techniques in a museum truly make sense, since they are capable to get today’s people into the everyday life of those children. The exhibition, entirely made of multimedia and interactive exhibits and designed by N!03[ennezerotre], features an old classroom reconstruction, in which people can seat on school benches to attend a fictional lesson; an interactive ironing table, telling the everyday life of the orphan girls; digital installations presenting various historical documents aimed to illustrate the conditions of the children once residing in the orphanages, and much more. 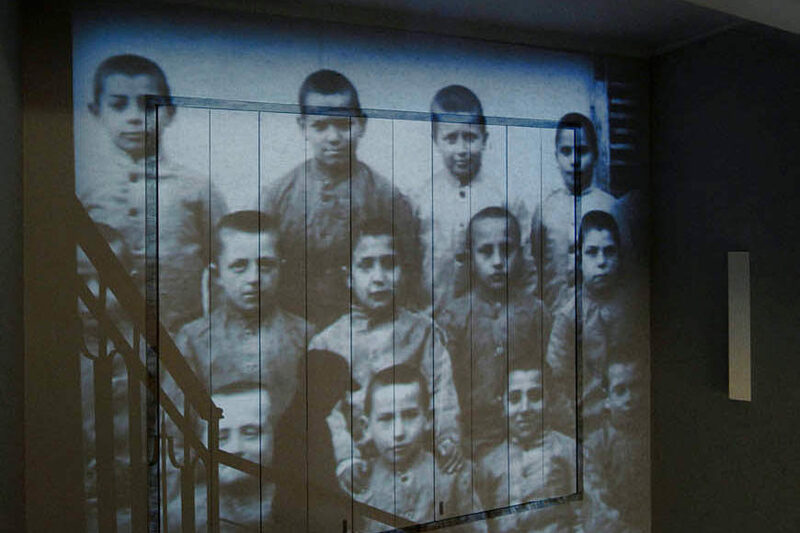 The multimedia gallery depicts the life of children living in two 19th century Milan orphanages. The archive documentation was quite peculiar thus needing an accurate work to respectfully translate ideas, stories and records into video and audio exhibits. The resulting exhibition is visually fascinating and offers the public the possibility to appreciate a comprehensive set of documents and subjects. The visit begins from a large video-projection inside the staircase, where children’s faces, step sounds and voices animate the place. The first and second rooms narrate why and how children were entering the orphanages and which activities they were carrying out inside them. Along with documents and regulations also small anecdotes of the orphans’ everyday life are displayed. Afterwards there is one of the most captivating installations of the museum: the class room. The visitors become martinitt themselves and, after attending a school lesson, can reply yes or no to the questions a virtual teacher asks them. In the following space, as if by magic, some virtual books appear so that people can freely browse them. The visit goes on on the second floor. A room is equipped with a large table with six irons, so recalling the places where the stelline were learning to press clothing. 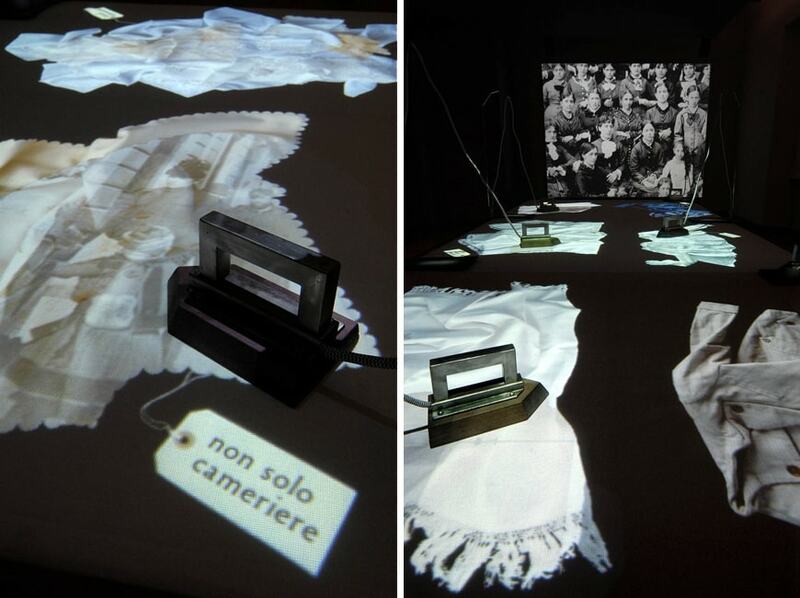 On the table surface are projected pictures of wrinkled dresses, people can virtually “iron” the dresses as well as see some video-clips on the stelline daily activities. 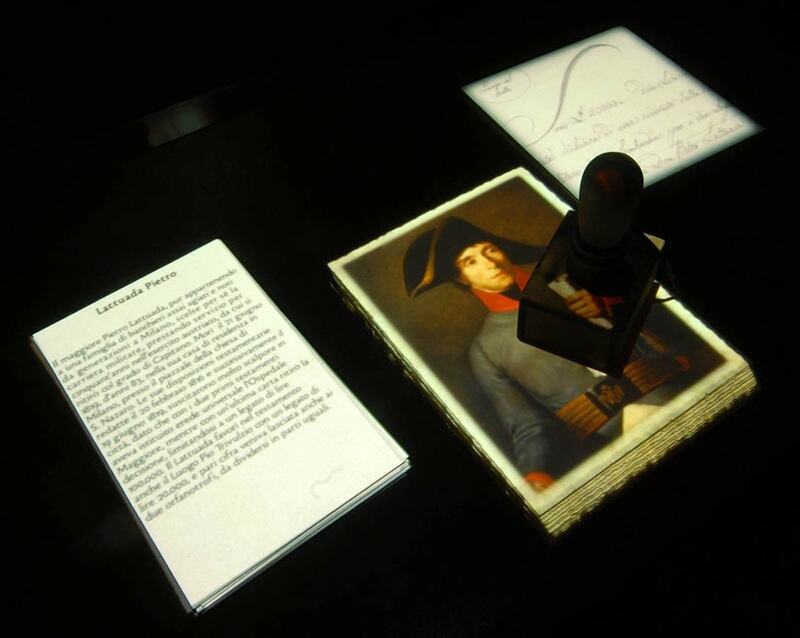 The last two rooms are dedicated to the biography of some of the orphanages’ benefactors, on a digital writing desk it is possible to watch a slide-show with portraits of such benefactors and get access to some short videos on their life.